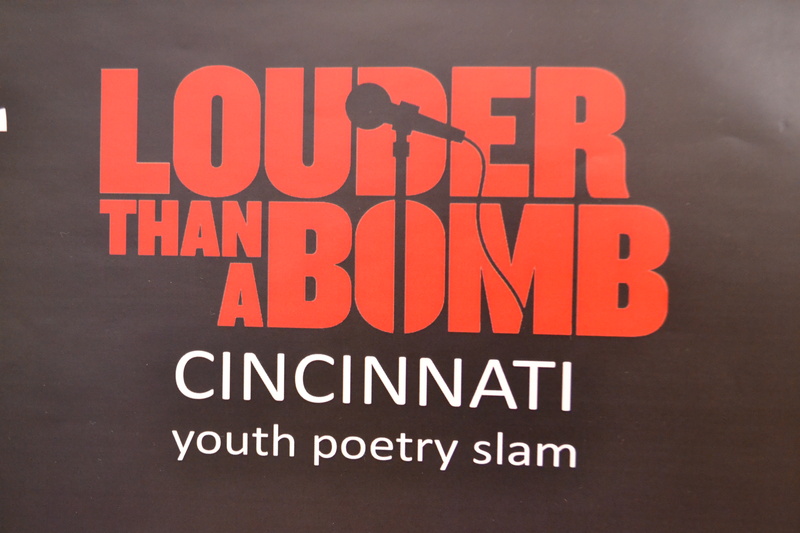 April 18, four school teams and eight individuals met to compete in the ultimate war of words for the Cincinnati Louder Than A Bomb. Our own Lacy “Asylum” Robinson from Aiken New Tech High School, won the top score for the individual bout. 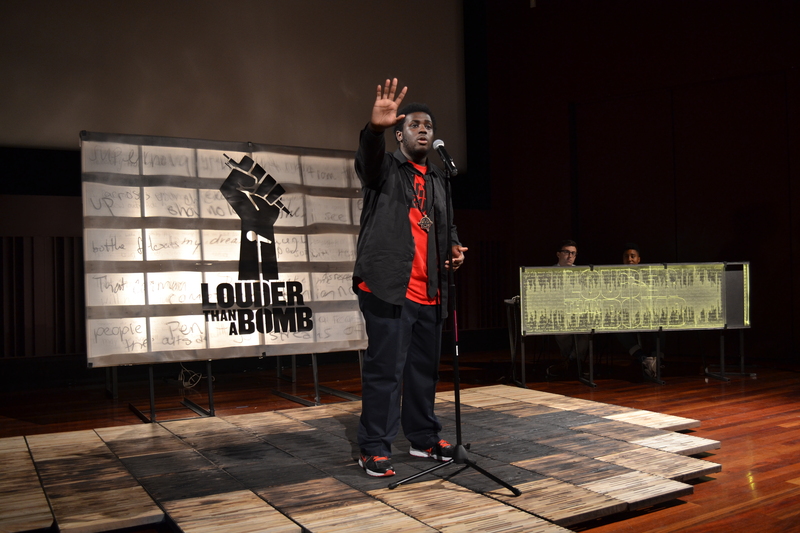 Robinson won the top prize at Cincinnati’s inaugural poetry slam competition. 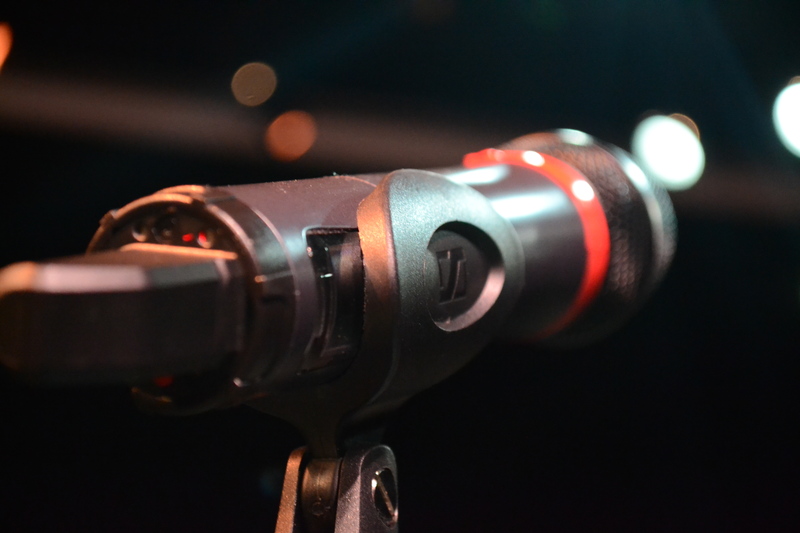 He performed two pieces of original poetry with the flare and enthusiasm his fans have come to expect. 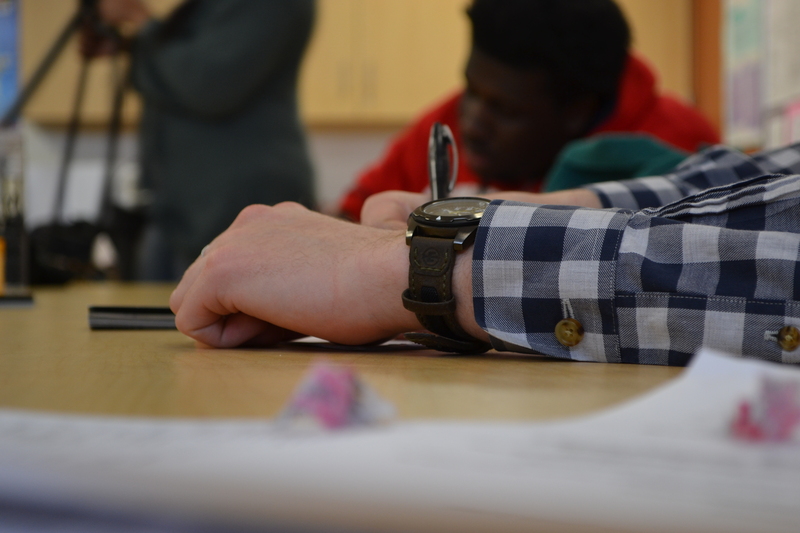 In the crowd along with this teachers, mentors and fellow students sat quietly his mother and aunt. 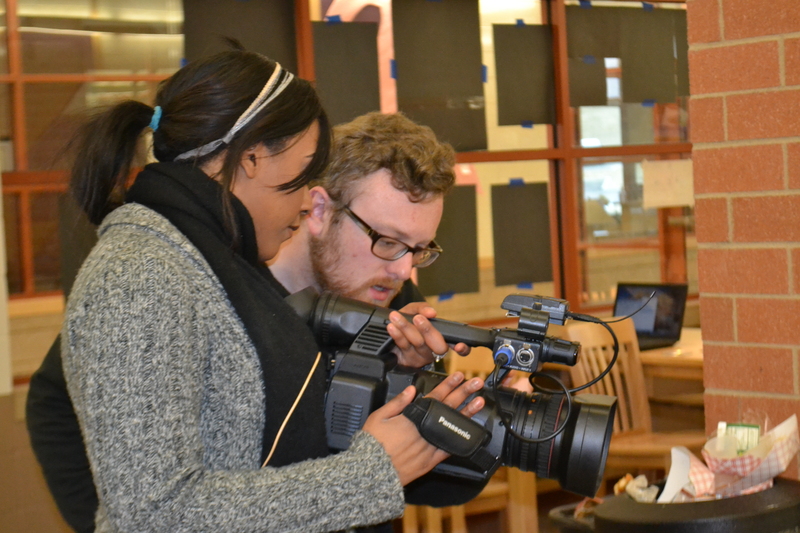 The relationship between Robinson and his mother has been shaky at times, but the support and love could be felt as Robinson performed. 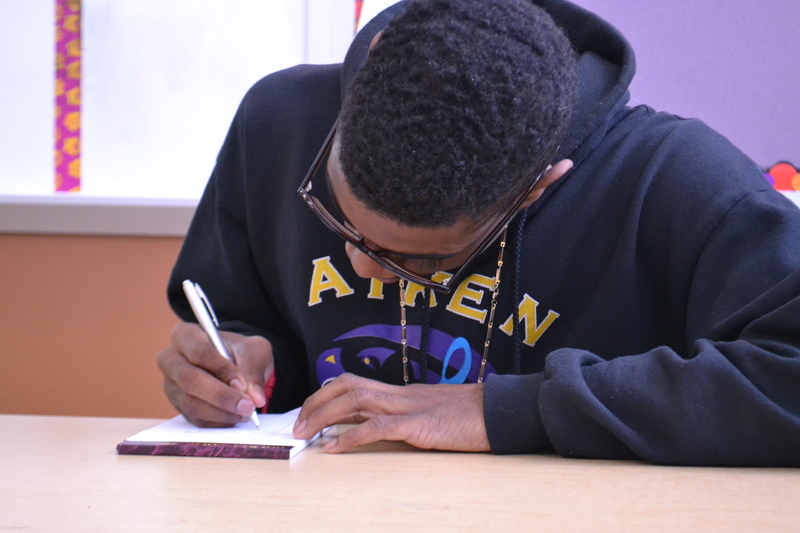 At one point during his poem, Robinson said he hoped his mother would be proud of him. Out of the dark, she shouted out how proud she was of him and the audience responded with cheers. During another section of his poem, as the audience cheered and shouted after nearly every line, Robinson would hold up his hand and wait. The audience would silence, hanging on his every word as Robinson continued his poem. Something that might be expected from a seasoned performer but surprising from an 18-year-old who only started writing poetry a short six months before. Surly with this win under his belt, Robinson’s future is bright.